Children of narcissistic parents live in a chaotic home that has been made so by the narcissistic parent, who wants everything. The parent wants admiration, love and recognition, all at the expense of the children. The narcissistic parent wants her children to fill her with love. If they fail to meet the standards she has set, she turns on them, objectifies and possibly abuses them verbally and/or physically. The aftereffects are lifelong. A narcissistic parent is quite capable of presenting more than one face to his family. At home, he’s the demanding parent, expecting his children to look up to him every day. His children never know with which parent they will be interacting. He might smile upon them or cut them down, just to remind them of their places in the family. At home and in public, the children of a narcissistic parent “echo” what the parent wants -- perfection, obedience and the “perfect family.” Because children can’t be perfect every day, they will fail their parent. Once they fail that parent, they will pay. Worse, the children never know from one day to the next what their parent will want. They live with fear and confusion, according to Beth McLarnan of the Adler Graduate School, author of "Adult Children of Narcissistic Parents: The Echoes." Being born to a narcissistic parent increases the probability that the children of this parent will, themselves, be narcissistic. The narcissist treats her children as an extension of herself -- only by the grace of her pregnancy were they born. Because she regards her children as possessions, she uses them to settle imagined scores with others. Should her mother-in-law have said something that she took wrong, the narcissistic parent will use her children to hurt her mother-in-law. down or verbally abuse them, especially if they failed her in some way that only she knows about. Diane Downs, the Oregon mother who shot her three children, killing one, was diagnosed with narcissistic personality disorder, borderline personality disorder and antisocial personality disorder. It is believed she shot them because she believed they were in the way of a romantic relationship. The children of narcissistic parents suffer a range of psychological effects that stem from the chaotic and abusive treatment they receive. These aftereffects include becoming chronic caregivers, self-doubt and low self-esteem. As adults, these children ignore their own physical and emotional needs. They might develop anxiety disorders or depression. These children might also develop obsessive-compulsive disorder, eating disorders or sexual disorders. They could turn to self-medicating with alcohol or illegal drugs. Because they are so used to the patterns of abuse, these children might be unable to develop an emotional closeness to others, or they could attach themselves to others, fearing abandonment and being alone. 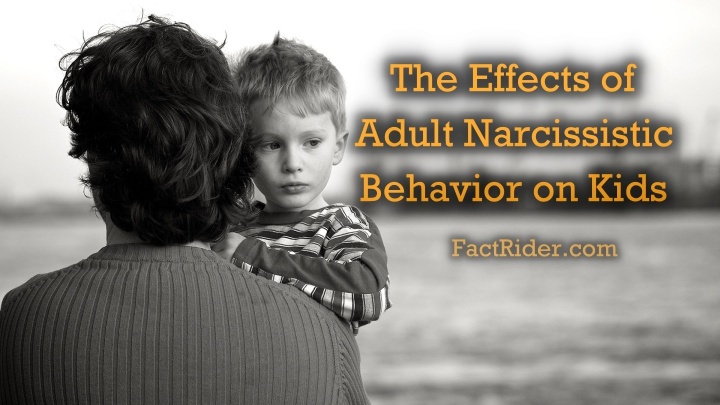 The psychological effects of the narcissistic parent’s abuse continue into adulthood. Unless the child’s family recognized the issues stemming from the narcissistic parent, the children might not have gone into therapy. Because the children were not nurtured or able to rely on parental consistency, they grew up believing that their treatment was normal. Their adult relationships might reflect the pathological parenting under which they grew up.